Now 2 miles and a quarter wide and growing. Yes, prayers for all who will be affected by this event. Yes, sprawling suburb of OKC. Directly hit by the 1999 tornado as well. Neil Cavito showing it live on FOX too. Local weather guy saying it’s 1999 all over again. well, it’s in the town but I don’t know how many people that is in Moore. they just said it’s a big suburb. Tinker AFB may be in play as well. when they are in my area, i go in downstairs bathroom with cushions, backpack with water/food for three days, and my Yorkie and I have a motocycle helmet in the cabinet below the sink in there. More people die from head wounds than anythig else in a tornado. Several times I have put that on. I assume the lake has a lot of homes built adjacent? Then a lot of streets northwest of that too on map. The Weather Channel is carrying live reports. 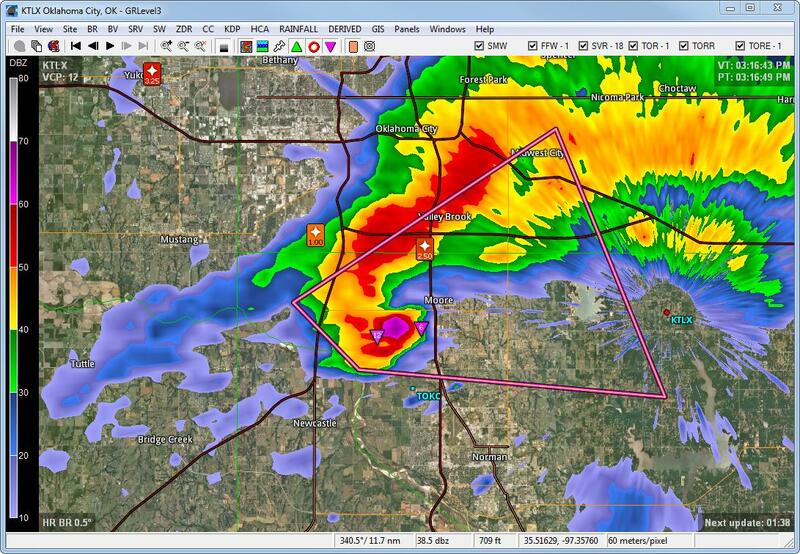 Spotter on ground says this tornado in/near Moore OK is 1/2 mile wide. Good idea with the helmets. My daughter puts bike helmets on her kids. Incredible helicopter shots - live video. any lake anywhere almost is jammed with houses. this tornado could be me in texas and this one scares me to death. I think many will be killed. One of the ones killed in this last Texas one last week, had the body ripped open with the intestines on the road. this one is so bad today. How common are basements / storm bunkers there?